In this month’s newsletter we update you on our Anti-Casualisation Campaign, inform you of the process for submitting motions to UCU Congress, ask for your views on wellbeing support and student feedback, and finally we let you know about upcoming events and campaigns. LUCU is stepping up its campaign relating to staff on casual contracts. We want to address pay, preparation, marking and admin time, and any other issues important to you. We hosted an initial planning meeting Wednesday 27th Feb to work out the details of the campaign, we invited everyone, especially those on a casual contract, to attend. It was a productive session. We are keen to involve as many casual staff as possible in this campaign, in small ways or large. If this sounds like you, or might appeal to someone you know, please get in touch with the branch anti-casualisation officer, Steven Parfitt, at s.j.s.parfitt@lboro.ac.uk, or with the UCU rep in your Department or School. If you wish to submit a motion to congress, please let us know ASAP, as we will have to call an emergency general meeting due to the deadline date. More detailed information on submitting motions can be found here. You should have received an email from us asking your views of the wellbeing support offered by the University to staff. We are still open to further information, so if you haven’t already, please can you feedback via email to Mary Brewer, LUCU Vice-Chair, or contact Mary if you prefer to set a time to chat – m.f.brewer@lboro.ac.uk. Your feedback will be kept confidential, and all evidence presented to the University will be anonymised. We would also welcome feedback on any resources you may have accessed through the Loughborough Development Hub, such as articles on wellbeing and stress. As we reported last month, some members have noticed an anomalous spike in negative feedback from students. For example, questioning the content of an exam or piece of coursework – even before the results are known. Members are concerned that many of these are groundless and reflect a worrying trend which threatens to degrade academic rigour. We are still gathering information on this, so if you have observed similar, but not responded yet, please contact ucu@lboro.ac.uk with anonymised examples. On Wednesday 27th Feb, UCU held a day of action against workplace racism. This annual campaign event has grown from strength to strength as it involves and includes a whole union approach to tackling the issues of workplace racism and its impact on careers, mental health and well-being and relationships with peers/students. The theme of this year’s Day of Action is #BlackStaffMatter. Look out for our social media campaign using the #BlackStaffMatter. Please share and retweet to help get the message out. Also, please contribute by making your own posts on Social Media using the hashtag. If you experience any racism in the workplace, please get in touch with the branch so we can better shape our efforts to fight against this deplorable behaviour. International Women’s Day is on March the 8th, we are organising an event to commemorate and celebrate our female colleagues. Further details to follow. Leicester’s International Workers Memorial Day service will be on Sunday, April 28th, in the Town Hall Square, Leicester, from 12pm onwards. The names of those who have died in the East Midlands will be read out to be followed by a minute’s silence. All the dead will be commemorated with the display of a red Rose. LDTUC will be celebrating Mayday (International Workers Day) in Leicester with a march & rally on Saturday 4th May. For six years they have joined together with fellow trade unionists, interested groups and individuals to help demonstrate their solidarity on International Workers Day. If you are attending the rally and would like to take along our branch banner, please get in touch. We are here for you, if you have any issues you wish to discuss with a case worker, please email ucu@lboro.ac.uk or call the branch office on 228299. Our next newsletter is scheduled to appear in late March. In the meantime, continue to contact us with your views and suggestions about LUCU activities on campus. The Committee’s contact details can be found here; we hope you will also follow us on both Facebook and Twitter. 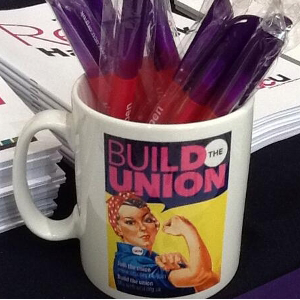 In this month’s newsletter we give you advance notice of our next General Meeting and Annual General Meeting, update you on our latest negotiations with the University, invite you to consider becoming our LUCU pensions lead, let you know about the Education Support Partnership and remind you about UCU-supported Stand up to Racism events. Wednesday 27th March from 4pm-5pm in Room SCH001 in the Schofield Building. Guest Speaker: Vicky Knight, UCU President. Followed by branch social at the Swan In The Rushes. Wednesday 5th June from 4pm-5pm in Room J002 in the Edward Herbert Building. Followed by a branch social barbeque outside the branch office on campus. We have recently been working closely with HR Director Adèle MacKinlay on the development of the University’s new People Strategy, to put forward our priorities such as workload sustainability, work-home balance, support for international staff and ensuring that senior managers set a positive and collegiate tone. We’re grateful to Adèle for her constructive engagement. Some members have reported an anomalous spike in complaints from students. For example, questioning the content of an exam or piece of coursework – even before the results are known. Members are concerned that many of these are groundless and reflect a worrying trend which threatens to degrade academic rigour. If you have observed the same, please contact ucu@lboro.ac.uk with anonymised examples. UCU are encouraging all branches to have a named Pensions Lead. With the ongoing dispute over USS there has never been a more important time to have someone focussed on this topic. The pension lead could become a committee member or could be involved only when pensions are being discussed. UCU are running training for this role. The courses are 5-6 March 2019 at the head office in London and 3-4 July 2019 at the regional office in Birmingham. Please get in touch at ucu@lboro.ac.uk if you are able to fill this vital role. The Educational Support Partnership is a charity providing mental health and wellbeing support services to all education staff and organisations. Stress and anxiety levels across the sector are reaching alarming levels and calls to their helpline are increasing year on year. For education staff they provide two main services; a free and confidential helpline and grants to cover short-term financial issues or training costs. There are many stresses on those who work in education – a challenging student, stress & depression, personal financial worries and so many more. That’s why they offer free, confidential help and support, no matter what the problem. Their trained counsellors listen without judgement. No issue is too big or too small. The free and confidential helpline is available 24/7 to everyone working in education and is available UK wide on 08000 562 561. Their grants service helps working in or retired education staff experiencing short-term financial issues. Use their online form to apply for a grant. They can also support with training costs if you’re wishing to change career or re-join the education sector. “Decolonisation: Confronting racism on campus” This conference will bring together students, staff and education workers to discuss how we can decolonise our campuses and make them free from racism. Saturday 16 February 2019: 10:30am – 5pm, NEU, Hamilton House, Mabledon Place, London WC1H 9BD. “Stand Up To Racism Trade Union Conference” A day for trade unionists to discuss, debate and organise challenging the far right in our communities and to oppose institutional racism in the workplace. Saturday 23 February 2019: 10am – 4:30pm, NEU, Hamilton House, Mabledon Place, London WC1H 9BD. UN Anti-Racism Day, this event is to demonstrate confidence in our values of respect and equality for all. It will demonstrate our solidarity in action against the politics of hate, against bigotry, racism and discrimination of all kinds, and against the politics of fascism. Saturday 16 March 2019, Central London, Glasgow, Cardiff. Please continue to contact us with your suggestions for future newsletter items. The Committee’s contact details can be found here; we hope you will also follow us on both Facebook and Twitter. LUCU Committee, 5th February 2019. In this month’s newsletter, we remind you of our first General Meeting and social of the academic year, alert you of the opportunity to become a Union Learning Rep, advise you of the University’s proposal to stop automatic increments for people on final warnings, update you on the latest news from our negotiations with the University and more. All LUCU members are invited to our first General Meeting of the academic year, 4pm Wednesday 5th December in J001 EHB. Nita Sanghera, Vice President of UCU, will be speaking on the topic of “Defending Education & Academic Freedom: resisting privatisation and marketisation”. We will also be discussing and voting on our response to the University’s proposal to withhold automatic increments from staff on final written warnings, a motion on solidarity with International Staff in the face of the government’s “hostile environment” and a motion calling for support of a counter demonstration against Tommy Robinson on December 9th. Following the general meeting, from 5pm onwards, there will be a branch social which will take place in the “Swan in The Rushes” (21 The Rushes, Loughborough LE11 5BE). Join us for a chat and a drink and get to know your fellow Union members. This month the branch hosted a case worker training session run by Regional Support Official, Joe Rooney. Case workers help UCU members across Loughborough’s campuses with issues that arise, from redundancy to bullying to workload. It is therefore vital that we maintain a large and substantial team of case workers. Twelve committee members and departmental reps attended the session which was very well received. The University has, for some time now, been pursuing a policy change which would see pay increments withheld from staff on final written warnings. Perversely this would introduce a significant financial penalty – but only for staff who are not already at the top of their pay grade. Further as this would currently affect only 2 members of staff, the unions have long argued that this should not be prioritised and that the time and effort should be spent tackling real problems such as workload and bullying. After lengthy discussions management have agreed to change the proposal so that it would only apply during the first year of the written warning. As a matter of discipline this change can only be implemented in consultation with the unions which means it will be voted on at our December General Meeting. In more positive news you will be aware that LUCU have,since the re-launch of PDR, advocated for a system of no more than 3 ratings. This would reflect the real-world situation where the vast majority of staff are performing their role as required, while recognising those who either need more help and support, or those who warrant a reward. This would help keep PDR focused on the constructive communication rather than the distraction of a rating. Many of you contacted us to support this position after our recent email on the subject. You will have seen in the email from the Vice Chancellor last week that the University have moved significantly closer to our proposed position for the forthcoming round of PDR. This is a good demonstration of what can be achieved through our constructive local industrial relations. The University will soon be launching a new “People Strategy”. We believe this will be a real opportunity to work with the University on some of the biggest problems facing our members. Based on the issues you raise with us we have so far highlighted workload sustainability, immigration and aggressive management as issues we feel should be prioritised. Get in touch if there are other topics you would like to see included. What are Union Learning Reps and should I become one? Union Learning Representatives (ULRs) are like health and safety representatives; but while health and safety representatives focus on health and safety issues, learning reps focus on members’ personal and professional learning interests. Every UCU branch should have at least one Union Learning Rep. They offer assistance and expertise on training and development in local collective bargaining agreements and can offer members individual advice and guidance on development issues. Learning Reps may take statutory time off to undertake their duties if they are trained. Find more information about the role here. If you are interested,please get in touch. Members of the LUCU committee are undertaking a series of recruitment and drop-in sessions. We recently had our first, in the AAE Atrium, and it was a great opportunity to discuss experiences of working at Loughborough University with members and non-members alike. Our next session is planned for the Design School on the 4th December from 12:30pm to 1:30pm. Lookout for us visiting your department soon. Our next newsletter is scheduled to appear in January, so we want to take this opportunity to wish all our members an enjoyable winter break. In the meantime,please continue to contact us with your views and suggestions about LUCU activities on campus. The Committee’s contact details can be found here; we hope you will also follow us on both Facebook and Twitter. LUCU Committee, 28th November 2018. As many of you will already know the pay ballot has closed and the votes have been counted. At Loughborough we achieved the 8th highest turnout of any HE branch in the UK so we wanted to thank everyone for voting and congratulate our members for the turnout. Unfortunately, this was still one vote short of the 50% government-required turnout. Loughborough’s results, on a turnout of 49.8%, were 55.6% for taking industrial action consisting of a strike and 68.3% for taking action short of a strike. Full results are available here. All LUCU members are invited to our first General Meeting of the academic year which will now be held on Wednesday 5th December from 4pm-5pm. This meeting will be held in Room J001 in the Edward Herbert Building. Nita Sanghera, Vice President of UCU, will be attending and speaking on the topic of “Defending Education & Academic Freedom” An agenda and a request for motions will be communicated nearer the time. A secular service for our colleague, and longstanding UCU committee member, Professor Memiş Acar, who passed away following a short illness in August, will be held at 1:15pm on Wednesday, 14th November at Loughborough University in room T003, Wolfson Building. Colleagues, family and friends will pay personal tributes to Memiş and acknowledge his contribution to university and professional practice. If you would like to attend the service and stay for refreshments after the service, please click here. A book of remembrance has been placed outside the Wolfson Reception and will be available until Friday, 9th November. We draw members’ attention to a series of statements from Dr Sam Marsh and Professor Mike Otsuka, both prominent commentators on the ongoing USS dispute, about whether USS has correctly applied its own Test1, which largely drove the disastrous proposals a year ago. These begin here with further analysis of USS’s responses in later posts here. Meanwhile the University has replied to the latest UUK consultation expressing support for the first report of the Joint Expert Panel. This is good news for members and we hope that other institutions will take the same sensible approach. After much discussion about ruling out the use of lecture capture to undermine industrial action the University have committed themselves to the following: “The University agrees that it will not use ReView, or any material taken from ReView, to undermine lawful industrial action (for example, by telling students in a live dispute that they could make up for lost lectures by viewing ReView at the time)”. We are pleased that the University has taken this pragmatic step which underlines the respectful nature of industrial relations here. This now needs to be integrated into the Lecture Capture policy. The University continues to push for a policy change allowing “automatic” increments to be withheld for those staff on a final written warning. We expect a final proposal from management soon which UCU has agreed to put to a vote at the upcoming General Meeting. We would like to thank members who took the time to complete our PDR survey and send us their thoughts on the system. The unions and University management held a special meeting to discuss potential revisions to the PDR system. The University has decided not to make significant changes this year although there are a number of minor tweaks many of which we feel could be beneficial. The University has committed to a more thorough review next year which we are hopeful will include a full reconsideration of the usefulness of the grading system. The University have agreed that in situations where a member of staff moves down a grade, such as during a restructure, and this reduces their leave entitlement (i.e. moving below grade 6), leave will only be reduced to 25 days. Previously the leave entitlement reduced to 20 days where accrued service was less than 5 years. We encourage members to attend the General Assembly on the 7th of November. This is an opportunity to hear from senior management about current events, future plans and, more importantly, to put your own questions to them. The University are considering whether a smoking ban across campus would be desirable and UCU have been asked how our members would feel about such a move. The issue is bound to be divisive. If you have strong views either way we would be interested in hearing them. Please email ucu@lboro.ac.uk with your views. We want to alert you of changes that could significantly impact on people with children born before 6 April 2017. You are urged to read the link and consider whether you should claim, even if you are not granted an award now, as it may protect future applications. You should have by now received your postal ballot. Please make sure you complete and post it back in time for the ballot which closes 19th October. If you have any questions please contact the Officers of the branch, or click this link to read more. Members will have noticed that the first JEP report reflects very closely the positions on USS adopted by LUCU and by Loughborough University following our discussions in January. It is of great frustration that so many Universities instead took a hard line position and forced us into the strike. We were however disappointed that the University had responded to a recent UUK consultation without discussing their response with us first despite their previous commitment to do so. We have exchanged comments on UUK’s latest consultation, in light of the JEP report, and hope that management will endorse the position of the JEP and challenge UUK to do the same. Colleagues from HR shared the breakdown of ratings received in this year’s PDR round. It was noted that only Excellent and Requires Improvement numbers were commented on, which adds to our argument that the distinction between Good and Very Good adds no value. We remain concerned about the number of ratings downgraded by Senior Review Groups and about whether equality and diversity are being properly considered. The results of our survey suggest satisfaction with the PDR process has reduced since last year with 1/3 of respondents reporting their PDR was not constructive, half that it was not valuable and a shocking 2/3 that is was not motivational. Unions and management will be holding a meeting specifically about PDR in October. After pressure from the unions HR have produced guidelines on how schools and departments should communicate with both unions and staff during restructures. We hope that Deans and Directors of Service will follow them. We remain concerned by the number of restructure activities taking place at any one time but appreciate that this is Loughborough’s preferred approach to a challenging financial landscape which is prompting some Universities to instigate large rounds of redundancies. A number of members have contacted us in recent months to complain their Deans had taken large roles such as Directorships of Institutes away from them without due process. We were pleased that our new HR Director Adèle MacKinlay took this issue very seriously and will be looking into these cases. As part of UCU National Recruitment Week next week, we will be holding a recruitment stall outside of the Edward Herbert Building on Thursday lunchtime from 12:30pm to 1:30pm. Please come along for a chat or to help out with recruiting new members. Can you Recruit a Colleague? By far the most effective form of recruitment is a personal invitation explaining the importance of the union for our pay, pensions, conditions and support when it’s needed. Could you recruit one colleague next week? If you have any questions or would like any leaflets please get in touch with Marc Gibson, Branch Admin Secretary. Every day Loughborough case workers help members with problems arising at work. These can include disputes with managers, unwarranted changes in working patterns or roles and problems with due payments. We also assist members with processes such as Disciplinaries and Grievances. Colleagues in these positions often say “I never thought this would happen to me”, but when these situations arise they are glad not to have to face them alone. Casework is time consuming but can be a very rewarding part of being a rep. More on this in future newsletters. UCU have called a one-day Congress on the 18th of October to complete the business not taken at this year’s summer Congress. We want to give you a chance to let your delegates know your views on the motions being discussed. To see the motions please click here. All LUCU members are invited to attend the mandating meeting in room J001 in the Edward Herbert Building on Wednesday 10th October from 1pm-2pm. You will have an opportunity to discuss the motions with our delegates so that they can better represent the your views. All LUCU members are invited to our first General Meeting of the academic year which will on the afternoon of Wednesday 28th November. Confirmation of the time and location, an agenda and a request for motions will be communicated nearer the time. We still have two more delegate places to fill at Leicester and District TUC. If you are interested in finding out more, please contact the LUCU Branch Administrator. Meetings of L&D TUC take place in the City Hall, Leicester on the 3rd Thursday of each month at 7pm. Our next newsletter is scheduled to appear in October. In the meantime, please continue to contact us with your views and suggestions about LUCU activities on campus. The Committee’s contact details can be found here; we hope you will also follow us on both Facebook and Twitter. In this month’s newsletter, we report on the work that our committee members and departmental reps do for your benefit, collectively in our negotiations with the university and individually in our case work. Also, there are opportunities to get involved in the local branch with a vacancy for an Equality Officer and in the wider trade union movement as we give details of UCU-run training courses, Leicester Pride and announce our affiliation to Leicester and District Trades Union Council. There is a reminder of the upcoming ballot on pay and finally, we pay tribute to Memis Acar, a branch committee member for many years, who has recently died. At the last joint negotiating meeting with management, the Unions raised a number of issues, including this year’s PDR round, immigration support and mental health and wellbeing. We will be feeding into a review of the PDR process so please note the email we sent on this topic offering you an opportunity to provide feedback about your experience. Meanwhile with Brexit still meaning “Brexit” and much else being left to be decided, our valued international colleagues continue to be concerned about their status in the UK. While the University has for several limited periods offered welcome financial help to those wishing to become naturalised, we have been working with the International Staff Group to urge the University to produce long term, consistent support. Mental health is an ongoing concern, exacerbated by increased workloads and performance pressure. At our recent meeting, the Health and Safety Executive noted that stress and workload have already been flagged to them as serious issues at the university and that they were disappointed to find that this is still the case. While we recognise these problems are by no means unique to Loughborough, we must maintain a focus on ensuring that demands made upon staff are realistic and sustainable and that support mechanisms are sufficient. The past year has also seen an unprecedented number of restructures and organisational reviews within schools and services which has tested the support capacity of all the campus unions to the limit. The conduct of these processes has varied considerably, and we are working with HR colleagues to establish better guidance and operating principles for future changes, including early involvement of the unions. Given the threat of industrial action over planned redundancies at the University of Leicester, we are pleased that Loughborough’s management seem committed to a less savage approach to cost saving, but more must be done to ensure that changes are implemented competently, at a manageable pace, and that the results are sustainable. It is also important to recognise that while tuition fees have not risen with inflation, the University’s operating surplus grew from just over £1m in 2015 to £19.8m in 2017. Occasionally members experience difficulties due to structural changes, conflicts with colleagues, health problems and other issues. Your local UCU committee supports people in such situations by assigning volunteer case workers. A personal case worker meets with a member, represents them in formal meetings, assists with administration and paperwork, and provides advice as to how best to handle a tricky and often distressing situation. At present over 20 members of staff across the University are receiving support on issues ranging from reducing unwieldy administrative burdens through to defending members under threat of redundancy. If you have any issues you wish to discuss with a case worker, please email ucu@lboro.ac.uk or call the branch office on 228299. Loughborough University UCU would like to thank our previous Equality Officer, Eugenie Hunsicker, for her hard work and dedication, as she has now stepped down from the role. This means we have a vacancy on the 2018/19 LUCU committee for an Equality Officer. If you are interested in taking on the role, please get in touch with the branch administrator or any of the LUCU officers who can help you decide if it’s the role for you. For some general information on the role please see the UCU Website and in particular the document at the bottom of the page called “Organising for equality – the role of the equality officer”. As with most trade unions LUCU encourage our members to improve their education about what trade unions are and how they operate. Whether you are an existing UCU activist or you are considering taking on a more active role within this UCU branch there is a training course for you. For information on free training courses provided by UCU please see here. For a list of courses in the region and dates, please see here. All our committee members and departmental reps are eligible for time off for training under the Trade Union Act; other members may be eligible on a case by case basis. Get in touch with our Branch Administrator by emailing ucu@lboro.ac.uk if you want to find out more. Leicester Pride 2018 takes place on Saturday 1st September at Victoria Park. We encourage our members to attend. If a group of members are planning on going and would like to take the branch banner for the march, please get in touch. For more details see the website for Leicester Pride. Loughborough University UCU has this month affiliated to Leicester and District Trades Union Council. The L&D TUC is made up of branches from many different unions in Leicestershire. 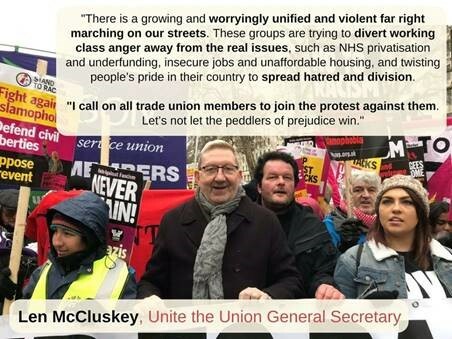 This affiliation gives us more influence to shape the trade union movement locally, more opportunity to show our solidarity with other union branches in their fights, more support and resources to call upon when we need to fight. We have already appointed two delegates to the L&D TUC from the LUCU committee and we have two more delegate places to fill. If you are interested in finding out more, please contact the LUCU branch administrator. All meetings of L&D TUC take place in the City Hall, Charles Street, Leicester. The full Council meetings are held monthly on the 3rd Thursday of each month except December and commence at 7pm. In December a joint Council/EC meeting is held on the 1st Tuesday commencing 7pm. You can also see some information about L&D TUC’s history and purpose on the Leicester NUT website. Please look out for your postal ballot arriving from the 30th August and make sure you complete it and post back in time for the ballot closing on 19th October. If you have any questions, please feel free to contact the Officers of the branch or click this link to read more. We will be starting our Get The Vote Out campaign the week after next so look out for more information on the pay ballot and expect a call from the committee. Members will be saddened to hear of the death of Memis Acar, a vivid presence in the life of the union on campus over several decades. He will be remembered by his colleagues in the School of Mechanical, Electrical and Manufacturing Engineering (where he was Professor of Mechanics) as a distinguished researcher and teacher, whose work in fields such as the modelling of car interior design so as to reduce injury in the case of accidents had significant public benefits. Memis was also supportive of members’ interests during the periods he spent on both Council and Senate. Here, too, as David remembers, he was ‘fearlessly vocal’, unafraid of ruffling ‘quite a few feathers’. As a stalwart of the branch, someone who passionately believed in the civilising mission of the union on campus, Memis will be greatly missed. We extend our condolences to his family and friends. Our next newsletter is scheduled to appear in the latter half of September. In the meantime, continue to contact us with your views and suggestions about LUCU activities on campus. The Committee’s contact details can be found here; we hope you will also follow us on bothFacebook and Twitter. We have now come to the end of the second year of the revised PDR system at Loughborough. University management are again reviewing the process and have invited the 3 campus unions to contribute to this review. LUCU’s Committee maintain that ratings are generally unhelpful and detract from the rest of the PDR content. However if we must have them it would be preferable to have three, to reflect the three possible outcomes i.e. The distinction between “Good” and “Very Good” currently seems to be a regular source of contention and distress while being of little value as the outcome is the same. Do let us know if you agree or disagree with this position or if you have other feedback you would like to provide. In this month’s newsletter, we report briefly on the University’s recent commitment to discontinue investment in the fossil fuels industry and on UCU’s establishment of a Democracy Commission. Most of this issue, however, is taken up with an interview with Matthew Inglis, who steps down as LUCU Chair on 31 July and reflects here on his time in post and on how he sees the future for the union, both locally and nationally. In its history, LUCU has had many excellent Chairs (or, as previously, Presidents): indeed, one of them, Alan Bairner, begins another term of office on 1 August. However, we are sure members will join the Branch Committee in acknowledging Matthew’s distinction in the role. The past three years have seen many significant demands placed upon the union locally (from maximising participation in the recent strike over pensions to fashioning an effective response to restructures in Schools and sections) – but, throughout this time, LUCU has remained a relevant and cohesive force on campus, in no small part because of Matthew’s qualities as Chair. He has demonstrated to a very high degree all of the attributes he mentions below as indispensable to good union activism. Newsletter: some people seem to be born union activists; for others, however, taking on a union role happens more slowly, perhaps even unexpectedly. Could you describe how, and why, you became actively involved in UCU at Loughborough following your appointment as a lecturer in the Mathematics Education Centre in 2008? Matthew: as with most of my career decisions, it was fairly fortuitous. In about 2011 our department rep announced that she wanted to step down and asked if anyone would be interested in taking over. Prior to this I’d only really engaged with UCU during strikes; but, based on the principle that you should normally agree to do things that sound like they might lead to interesting and unusual situations, I volunteered. A year or so after that I was invited to attend a training event for dep reps held by our regional official on campus. I had nothing else on, so went along. Maurice FitzGerald (formally of the Teaching Centre) was organising it. Afterwards he pursued me as I walked back to my office (in a direction that was completely out of his way) and tried to convince me that the only thing the local Committee was lacking was someone exactly like me. Absurd of course, but those who remember Maurice will recall how persuasive he could be. So, I joined the Branch Committee in 2013, and ended up serving on JNCC and ARSNC, the two main committees where we negotiate with University managers. These turned out to be extremely interesting, for all sorts of reasons. In 2015, when we needed someone to take over as Branch President, I somewhat naively felt that since the President’s main role was to be on these committees, and I already was, I may as well volunteer. Newsletter: You describe how, over a number of years, your union commitments progressively expanded, culminating in your time in office as President (latterly Chair). During this period, you were also expected, in your academic role, to produce high-quality research, apply for grants, develop as a teacher, etc. How challenging have you found it to combine union responsibilities with those of the day job? Matthew: I haven’t found this too problematic to be honest. But I think I’ve been lucky in a couple of respects. First, my School has a reasonably functional workload model. This means that the facilities time I get for my union work has always been taken into account when I’ve been allocated other duties. Second, in my research I’ve been very lucky to have a group of hard-working and intelligent collaborators who are all committed UCU members. So, when there have been periods where my union duties have been unusually heavy (during disputes for instance), my colleagues have always been extremely understanding and supportive. Newsletter: The previous question might be taken as implying that life as a union activist on the one hand and life as a researcher and teacher on the other are unrelated and unlikely to infuse each other. Does this set up a false division, though? Could you say something about whether, or how, you feel your academic work has been informed and enriched by your union activism (and vice versa)? Matthew: That’s an interesting question. I certainly feel that my union role has taught me a lot about how the University management structure works, but it might be a push to describe this as ‘enriching’. I suspect that you are right though: there are definitely similarities between academic and union work. When we represent UCU members during a consultation or negotiation, the main job is to construct a persuasive argument so that the person we’re negotiating with both clearly understands our position and agrees with as much of it as possible. This isn’t too different to what’s needed when writing an academic paper or delivering a lecture. There we want the reviewer/reader/student to both understand our interpretation/analysis and to be persuaded by it. Of course, the range of rhetorical moves available in a negotiation context is much greater than in a research or teaching context, but the basic job isn’t that different. Newsletter: You indicate here that union work makes demands on the rhetorical skills of union negotiators. What other abilities and qualities would you say are required for effective union activism? Matthew: There are a great many different aspects of union activism and I think these require quite different abilities and qualities. For instance, when University managers propose a new policy, we need to forensically analyse what consequences it might have for our members and whether it is consistent with various existing national agreements. This is a very different activity to making a speech at a Branch meeting with the aim of persuading members to vote for industrial action. Supporting a member who is distressed by the behaviour of their line manager is a completely different activity again. An effective Branch Committee will have a range of people with a range of skills: some will be good at forensic analysis of proposed policies, some at negotiating, some at campaigning, and some will be good at empathising with members in distress. I’d like to think that, between us, our Branch Committee covers most areas pretty well. Newsletter: Demonstrated not only by the Branch Committee but by so many of our members at Loughborough, the skills and abilities you mention were strikingly on display in the strike in February and March over the future of our pensions. Several months later, what are your reflections on that four-week period? What was learned? Matthew: Obviously, the main lesson was that UCU members are willing to stand up to unreasonable managers and that, despite the anti-union laws, when we stick together we win. That’s something that all our members – and all UUK’s members – need to remember. But there were other lessons too. I think the Branch worked very effectively with local managers to positively influence the national course of the dispute. For example, the Vice-Chancellor’s public letter of early January was one of the first signs that UUK’s line was not going to hold. As he explained at the time, this letter reflected the constructive discussions we’d had in the autumn. To my mind, this is a very clear example of the benefits we can accrue by openly engaging with management. Although we won’t always agree, it benefits us, them, and the University as a whole if we can maintain the kind of constructive relationship envisaged by the Partnership Agreement. I’m less happy with our failure to achieve an equivalent relationship with the Students’ Union. Although we were supported on the picket lines by students every day, we had no official support from LSU. This was in sharp contrast to the situation at the majority of universities involved in the dispute, and to the position of the National Union of Students. I think we all need to ask some searching questions about why, despite Branch officers’ attempts to engage with them, student representatives were not willing to support their staff. Newsletter: As you step down from your position as Branch Chair, how would you assess the state of the union, both locally and nationally? Matthew: Locally I think we are in a fairly healthy state. Our membership is higher than it has ever been, we continue to provide high-quality casework support to members who need it, and we’ve had some notable policy successes (e.g., improvements to the lecture capture policy, defending automatic increments, refunds for unlawful strike pay deductions, defending Tier 2 visa holders from unreasonable monitoring, etc.). But nationally the picture is not as positive. Recent events at UCU Congress indicate that the union faces serious internal challenges [for a report in Tes on the events Matthew refers to, click here]. My view is that there exist two quite different and possibly incompatible views of what a union ought to be: should it be member-led or activist-led? More precisely, what happens if a particular course of action, or a particular General Secretary, seems to command the support of the majority of members but not the majority of activists (or vice versa)? The union’s decision- making structures (a mixture of votes taken by activists at Congress, votes of committees elected by the wider membership, and all-member ballots) are not designed with such a scenario in mind. Unless people with quite different views are willing to calmly discuss their positions and become much more willing to compromise with each other than currently seems to be the case, then there is a danger that the union may become dysfunctional. Members may have seen that delegates to this summer’s UCU Congress voted to establish a Democracy Commission to review the union’s structures of representation and governance, with a view to producing recommendations for national discussion next year. Further details can be found here on UCU’s national website. Each Branch is entitled to nominate one of its members for election to the Commission – and so, if anyone is interested in being considered for what is an interesting opportunity to contribute to thinking about the union’s future, please contact us as soon as possible. The timetable is tight, with Branch nominations to be received at UCU head office no later than 5 p.m. on Friday 10 August. Space allows us only to note briefly here the University’s decision, announced early this month, to discontinue investing in fossil fuel companies and to divest itself of existing holdings within three years. We greatly welcome this new policy, since, as reported in previous newsletters, disinvestment from fossil fuels has been a campaigning priority not only of UCU nationally but of Loughborough students who belong to the People & Planet group. Our next newsletter is scheduled to appear in late August. In the meantime, continue to contact us with your views and suggestions with regard to LUCU activities on campus. The Committee’s contact details can be found here; we hope you will also follow us on both Facebook and Twitter.